Honeybadger is the modern error-management service for Rails. 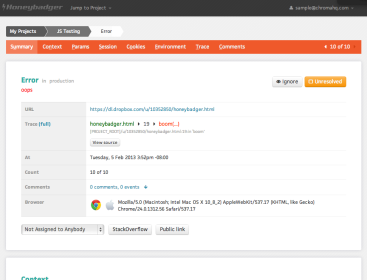 Users of the Honeybadger error-management app can link their apps to their Tracker projects. When a bug comes in, they can press a button to create a story. Then the bug stays linked to the story so that users can easily jump to Pivotal Tracker from Honeybadger.